Last edited by amk; January 20th, 2019 at 02:51 AM. How are those Nemosine nibs? I'm very pleased with the various Nemosine nib sizes I've acquired with these pens. 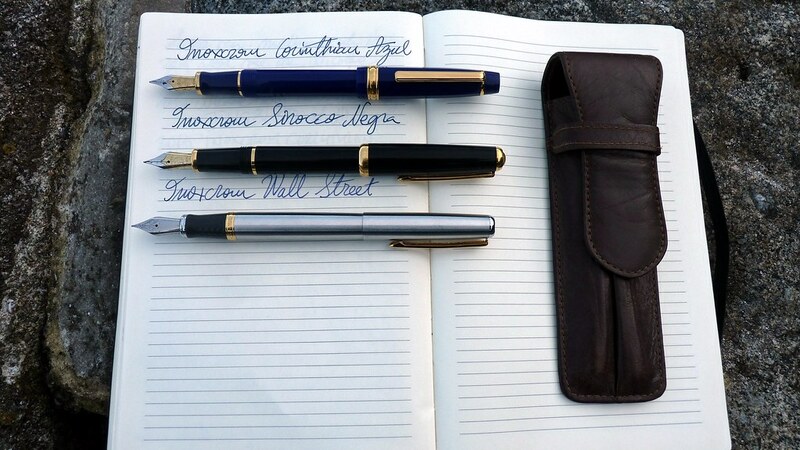 Much more than the Knox nib also offered. 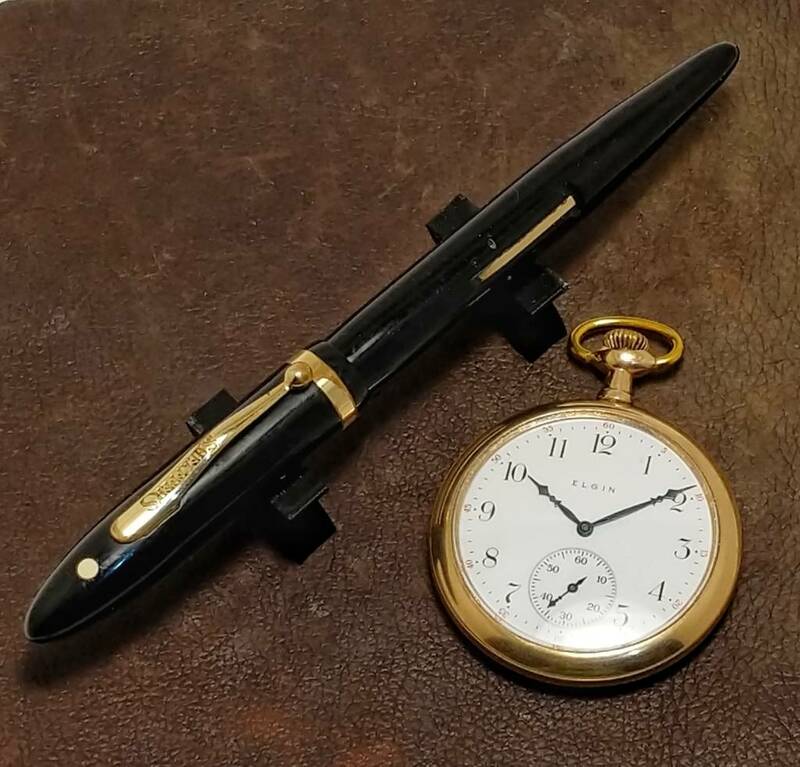 I plucked this off the classifieds to give to an old college friend who has been curious about my fountain pen written cards and letters, but he's been reluctant to dip his toe into our obsession. So, a surprise parcel containing the pen, a bottle of ink and a printout of Jim Mamoulides's Vac-Fil instructions is heading his way. I wonder, should I have included some ink remover for hands? I just got a violet Pilot Decimo with an EF nib. 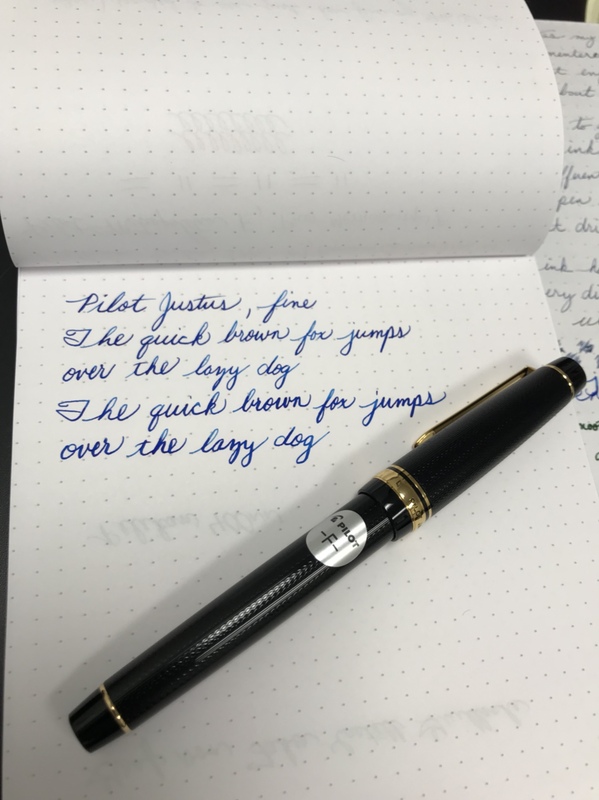 Nice little writer. A Swan set, with an engraving dated 1955. The Leverless pen and Fyne-Poynt pencil are 1930s production. 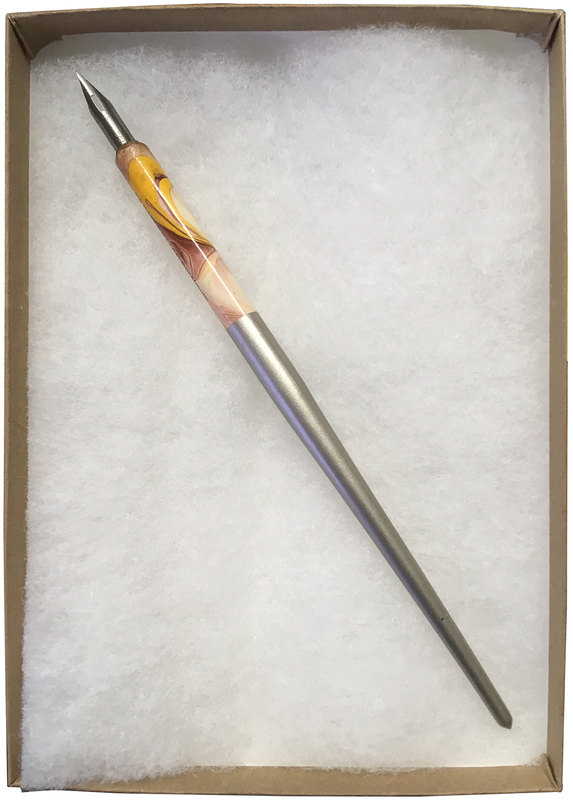 That is a gorgeous dip pen. I saw the post yesterday and I have added it to my wish list. Also, I aspire to make my next dip pen at least 10% as amazing, which is going to be a hell of a challenge. The grey/blue stripe is pretty but had a gross, squishy, dissolved ink sac. Nib was ok. 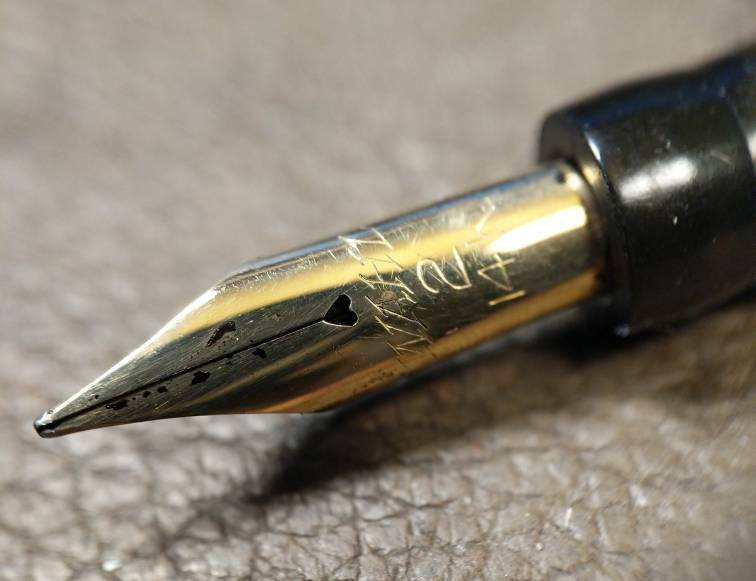 The marble pen had a petrified sac and a trashed nib. 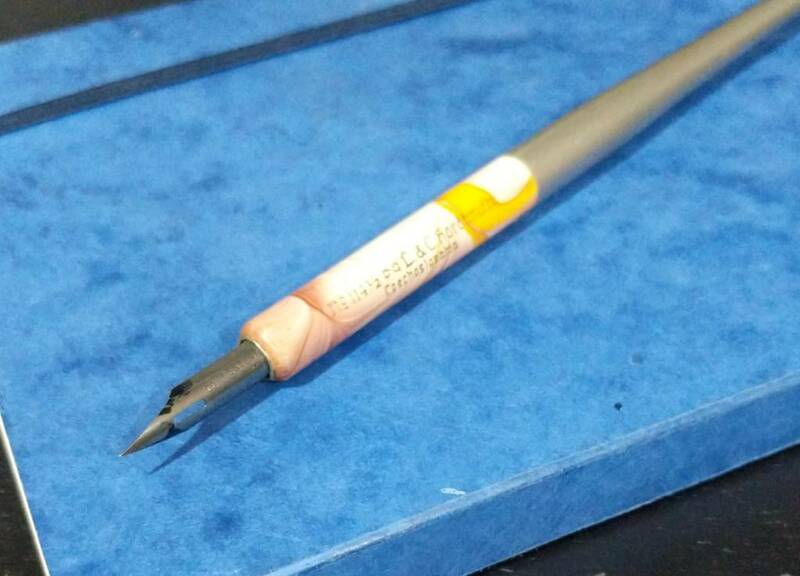 I replaced the nib with a cheap Chinese one after trimming and reshaping it to fit the tiny 4.5mm feed. The new nib suffered terrible hard starts. After an hour of grinding and cussing, I think I have improved it. We shall see. 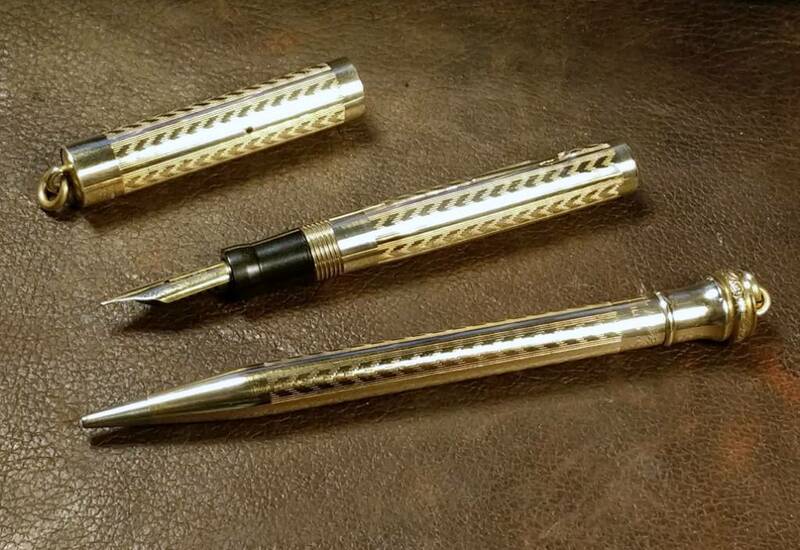 Both of these pens use a one piece brass pressure bar that I had to reshape so it would work properly. The other two passed the dip test but I've not had time to mess with them further. A lovely parcel from La Couronne du Comte. Second pen of the year (the ASAs don't count because they were ordered in 2018 IIRC even if I didn't get them till this year) - just got an Edison / Goulet 'Tequila Sunrise' in lovely pinky-orange suffused acrylic. Now I just have to wait for the post to come! Feeding my Edison love affair.... with just one more pen... so far! Just got a Visconti Homo Sapiens Dark Age with a Fine nib. I had previously owned a Bronze Age, but I didn't like needing to repeatedly polish the bronze, nor did I like the nib on it. It seemed a little dry to me, so I sold it. I like the new Dark Age much better. Sheaffer Balance Lifetime from FPG'er Asif. 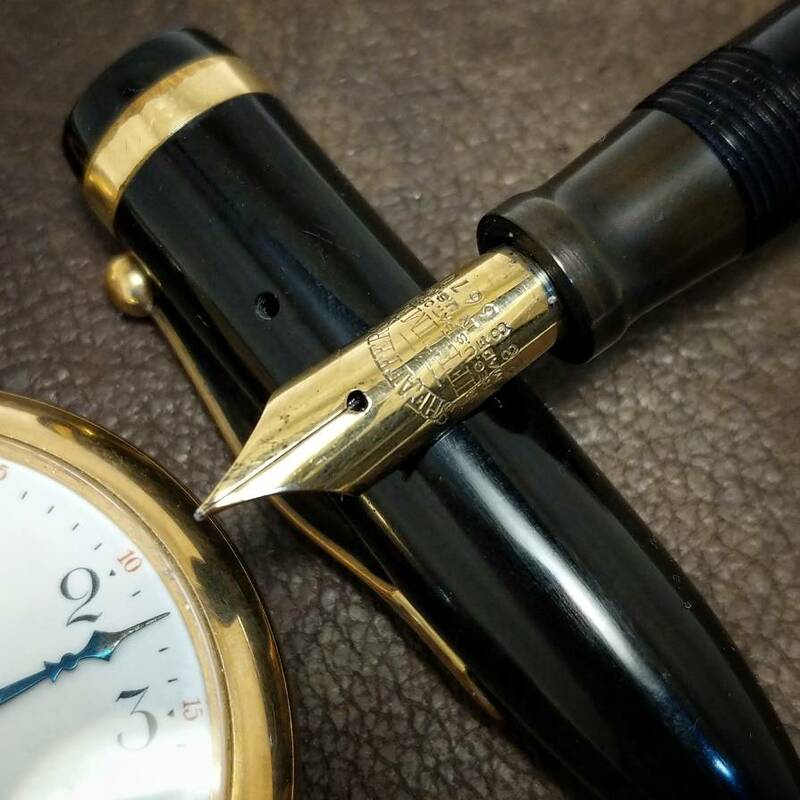 Been on the lookout for a black & gold balance with a fine nib for months. 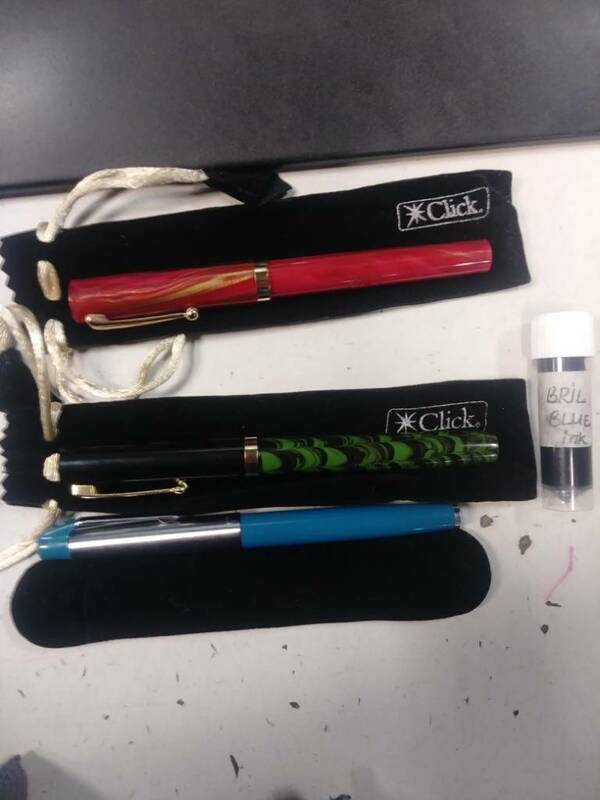 Just recieved Click Bamboo pens, one red, one green ebonite from kiwipens.com. I'd been wanting a Bamboo since I ran across them on FPR's website, but red was always out of stock. 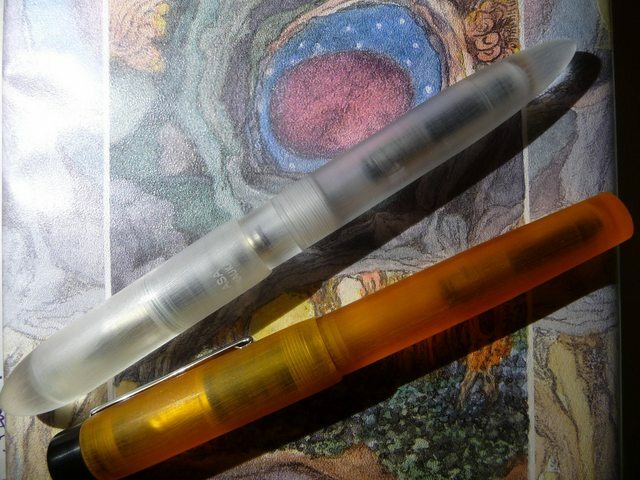 Found Saji and kiwipens online, and he has an extensive selection of Click pens, as well as many vintage Indian-made versions of swan and pilot pens, and other stuff. I ordered the red pen, and the green ebonite, got free shipping, free ink, free pen (the turquoise one), pipettes for the ink, pen bags, and a nice handwritten note/packing list from Saji. I can't say enough about the service I recieved. And the pens are very good writers, I had to clean the heck out of the feed on the red Bamboo, but no nib adjustements or smoothing, just filled them up with the included ink sample and it was off to the races! 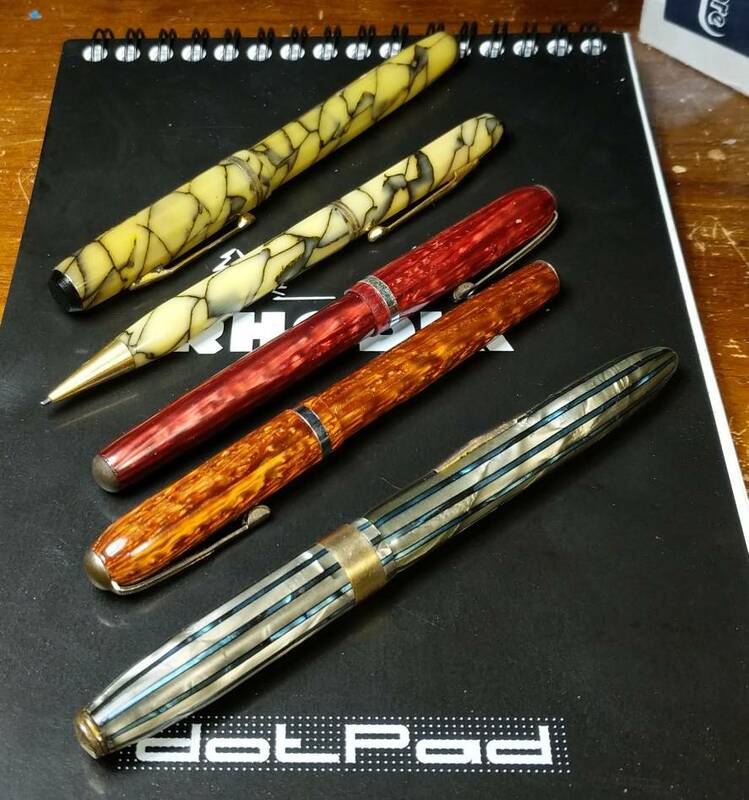 I know they aren't top-of-the-line or fancy or vintage or anything special, but they are extremely nice, especially for cheap Indian pens. Thanks for looking! 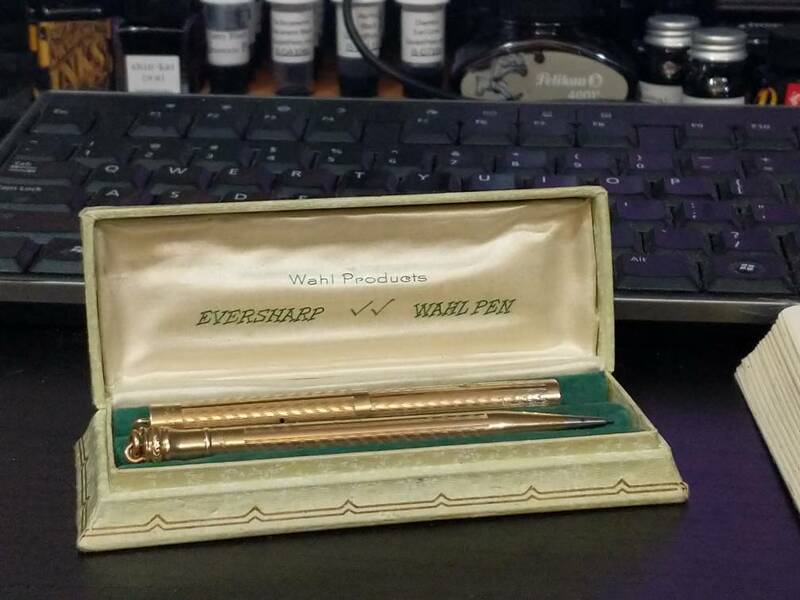 Wahl Eversharp Ringtop pen and pencil set in original box. They arrived a day early! Fortunately I was able to tweak the bent nib back to normal, and I replaced the cracked section with the one in a parts Ringtop that was already resacced. a Diplomat Magnum, and I don't like it! Oh that's a shame. What will you do? Flip it?